(Bloomberg) -- HNA Group Co. agreed to sell control of airline caterer Gategroup Holding AG to RRJ Capital, the second major divestment in a week by the embattled Chinese conglomerate. RRJ will purchase all outstanding shares of Gategroup, the Swiss company said in a statement on its website Friday, confirming an earlier Bloomberg News report. It didn’t disclose financial terms. The deal values Gategroup at about $2.8 billion, according to people with knowledge of the matter, who asked not to be identified because the details are private. The acquisition is expected to be completed in April, Gategroup said in the statement. RRJ, the Hong Kong private equity firm run by former Goldman Sachs Group Inc. banker Richard Ong, will be its sole shareholder after the deal. Temasek Holdings Pte will remain invested through a mandatory exchangeable bond. HNA was one of China’s most acquisitive companies until it began facing liquidity challenges and pressure from the government. The conglomerate has agreed to sell more than $20 billion of assets ranging from property to big shareholdings since 2018. 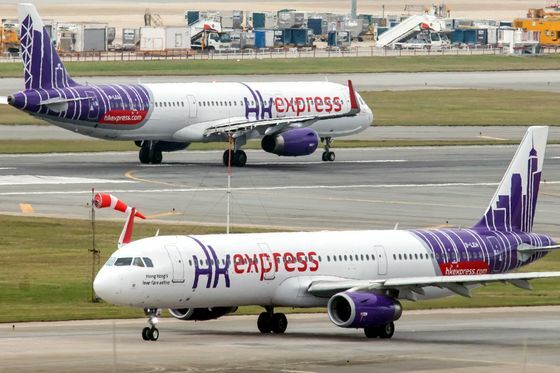 Last week, Cathay Pacific Airways Ltd. said it will buy Hong Kong Express Airways Ltd., a budget airline that’s part of HNA. Should Temasek convert the bond, it’ll own about 24.5 percent of Gategroup. The company and RRJ invested about $930 million in the bonds last year, one of the people familiar with the matter said. RRJ has been seeking to capitalize on HNA’s efforts to restructure by investing about $1.3 billion in entities where the indebted Chinese conglomerate has a partial ownership, positioning itself as a buyer if HNA sells down stakes, a person familiar with the matter said in July. These investments include two HNA special-purpose vehicles that own aircraft leasing company Avolon Holdings Ltd. and networking and software distributor Ingram Micro Inc., the person said. Gategroup reported 4.9 billion Swiss francs ($4.92 billion) in revenue and 343.9 million francs in earnings before interest, taxes, depreciation and amortization in 2018, according to the company’s last annual report. Credit Suisse Group AG and UBS Group AG advised RRJ on the purchase.